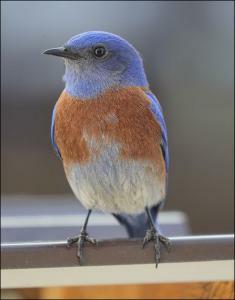 BEND, OR, USA, March 12, 2019 /EINPresswire.com/ -- Once again, the Old Mill District1 and the East Cascades Audubon Society2 are offering bi-weekly bird walks to the public every other Friday, April 5 through May 17. These free walks are guided by an expert from the local Audubon Society, who will take participants on an exploration of the migratory corridor that runs along the Deschutes River. Following the riverside trails within the Old Mill District, the tours will provide an opportunity to see a wide range of bird species as they prepare for warmer weather with nesting and migration. The bi-weekly, two-hour walks are appropriate for all ages and interested parties, from novices to experienced avian experts. Groups will meet at 10 am at the Ticket Mill in the core of the Old Mill District, where binoculars provided by Leupold are available for checkout. Participants can also pick up a specially designed birding list to help identify birds and some common animals seen along the walk. Bird Walk dates for 2019 are April 5 & 19 and May 3 & 17.